It has been more than just a few years since the seismic shift in users’ browsing preferences from desktop to mobile. During that time there has been some serious investment behind the mobile environment, both in technology and formats. 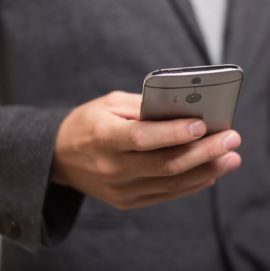 Mobile display advertising, firmly rooted within the marketing mix, is considered to be the modern equivalent of more contemporary methods of advertising. Display advertising has a very healthy organic model, which many think will become bigger than SEO. 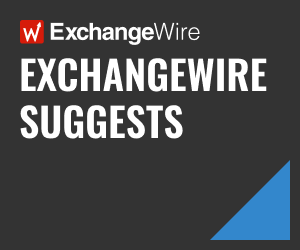 Writing exclusively for ExchangeWire, Oliver Gold, UK managing director, YOC, explains why native advertising will become part of the mobile mainstream. What’s interesting is the phenomenal growth we’ve been experiencing in the native advertising market over the last twelve months. eMarketer’s figures, released earlier this year, revealed that native now makes up more than 50% of digital display spend. It’s estimated that native digital display ad spend will grow by 36.2% this year to reach USD$22.09bn (£17.16bn). That will make up 52.9% of all display ad spending in the US. Nativo’s three-year native ad spend study reports that from 2014 to 2016 spend increased by an incredible 600%. eMarketer’s principal analyst, Lauren Fisher, said that this extraordinary growth is being driven by publishers’ pursuit of higher value, more mobile-friendly inventory, as well as demands by advertisers for less intrusive ads. I believe that mobile, rather than desktop, will be the main driver behind the continued growth of native advertising. It is creating content that’s relevant to its audience on this platform and adds value. It is becoming part of the mainstream just as social media did some five or so years ago. Why does it resonate so well with advertisers and consumers? 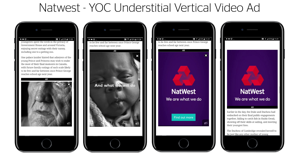 YOC’s recent campaign for Natwest is a typical example of how a native ad works. Run as an understitial ad, it was served within a big story covering the royal visit to Canada last year. It was unobtrusive and seamlessly slotted into the published feature about the young royals as it highlighted the financial needs of every family across the generations. People were comfortable with the ad, they liked it because it fitted with the story. Within the next 12 months we’ll start seeing publishers monetise even more heavily through native advertising, with programmatic video solutions being a key part of this. Programmatic video represents a huge opportunity for publishers and is gradually gaining ground on display advertising. There’s likely to be a greater shift towards social media, with video becoming absolutely necessary for companies that want to reach their audiences. With the high volume of information on these channels, native ads are going to be even more important as a way of reaching these audiences, otherwise they simply won’t be seen. So, what are the next big steps to transform this area of marketing? We can’t ignore augmented reality (AR) – the fastest growing format on the web. Today’s consumers will expect to see and use AR in mobile environments through platforms like Snapchat, Pokemon Go, and many others. Live video and virtual reality are now cheaper and easier than ever for publishers to produce and distribute for advertisers and these technologies present incredible opportunities to give consumers an experience – not just content. AR will be used a lot more to natively engage certain demographics. However, advertisers will start to expect better use of data to ensure their ads are reaching the right people. Native ad providers with access to large databases will be able to offer more sophisticated targeting to ensure that the ad not only fits into its surroundings, but also offers users what they want at the right time. It’s worth remembering at this point that the biggest resource on the mobile web is location. Physical location is an overlooked source of data about our daily digital experiences. Data could register that you’ve seen an ad for Nando’s and then know that you walked into the restaurant and bought a Piri Piri Chicken Wrap at a specific location. We will see digital-to-physical conversion tracking supersede pure digital conversion tracking, which will transform the entire mobile ad landscape. Whatever the format, however, the growth is, and always will be, driven by creativity and technology. Creativity brings relevance to the audience, while technology provides scalability. It is the technical changes that allow advertisers and publishers to target the right audience and make ads ever more relevant as they become part of the mainstream.